Make use of convenient amenities, which include tour/ticket assistance and a banquet hall. Featured amenities include complimentary wired Internet access, a business center, and limo/town car service. A train station pick-up service is provided at no charge (available 24 hours), and free valet parking is available onsite. When you stay at Hotel Maharaja Residency in Jalandhar, you'll be near the airport and 9 minutes by car from Imam Nasir Mausoleum. 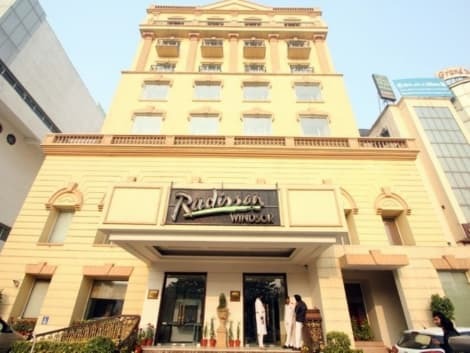 This hotel is 2 mi (3.2 km) from Guru Govind Singh Stadium and 2.1 mi (3.4 km) from Modella Mall. With a stay at Hotel President New Court in Jalandhar, you'll be within a 10-minute drive of Guru Govind Singh Stadium and Geeta Mandir. This hotel is 1.1 mi (1.8 km) from Nikku Park and 1.7 mi (2.7 km) from Imam Nasir Mausoleum. Featured amenities include complimentary wired Internet access, a 24-hour business center, and limo/town car service. Planning an event in Jalandhar? This hotel has facilities measuring 13993 square feet (1300 square meters), including a conference center. For a surcharge, guests may use a roundtrip airport shuttle (available 24 hours) and a train station pick-up service. Located in Jalandhar, Sarovar Portico is in the business district, within a 10-minute drive of Guru Govind Singh Stadium and Geeta Mandir. This hotel is 1.2 mi (2 km) from Nikku Park and 2.4 mi (3.9 km) from Imam Nasir Mausoleum. 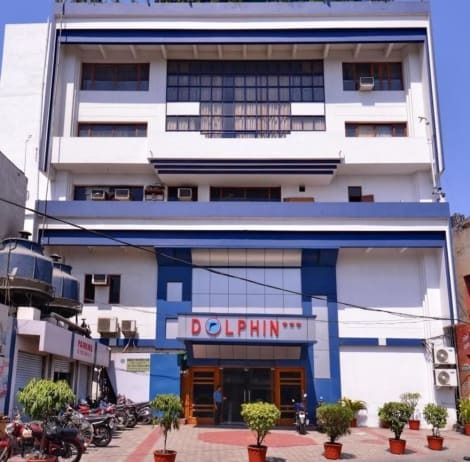 A stay at Days Hotel Jalandhar Jyoti Chowk places you in the heart of Jalandhar, a 5-minute drive from Imam Nasir Mausoleum and 6 minutes from Guru Govind Singh Stadium. 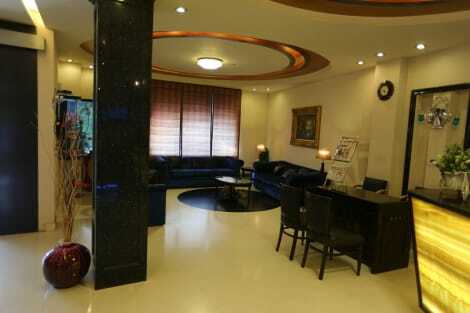 This hotel is 1.5 mi (2.4 km) from Nikku Park and 1.7 mi (2.7 km) from Geeta Mandir. 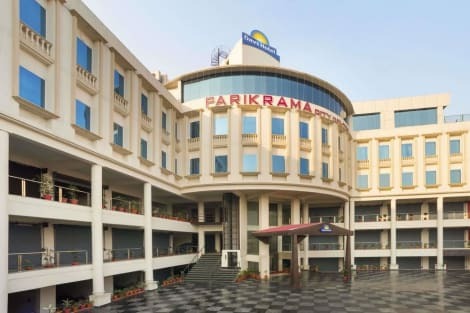 A stay at Ramada Jalandhar City Centre places you in the heart of Jalandhar, a 4-minute drive from Guru Govind Singh Stadium and 6 minutes from Nikku Park. This 4-star hotel is 1.2 mi (1.9 km) from Imam Nasir Mausoleum and 1.5 mi (2.4 km) from Geeta Mandir. Make yourself at home in one of the 42 air-conditioned rooms featuring refrigerators and LED televisions. Complimentary wireless Internet access keeps you connected, and satellite programming is available for your entertainment. Private bathrooms have jetted bathtubs and rainfall showerheads. Conveniences include phones, as well as safes and desks. Enjoy Chinese cuisine at ORIENTAL KITCHEN, one of the hotel's 3 restaurants, or stay in and take advantage of the 24-hour room service. Snacks are also available at the coffee shop/café. Relax with a refreshing drink at one of the 2 bars/lounges. A complimentary continental breakfast is served daily from 7 AM to 10:30 AM. lastminute.com has a fantastic range of hotels in Jalandhar, with everything from cheap hotels to luxurious five star accommodation available. We like to live up to our last minute name so remember you can book any one of our excellent Jalandhar hotels up until midnight and stay the same night.